Well I would like to start off by wishing everyone a very Happy New Year. I hope that you all enjoyed your New Year celebrations and that the New Year brings you all that you desire. 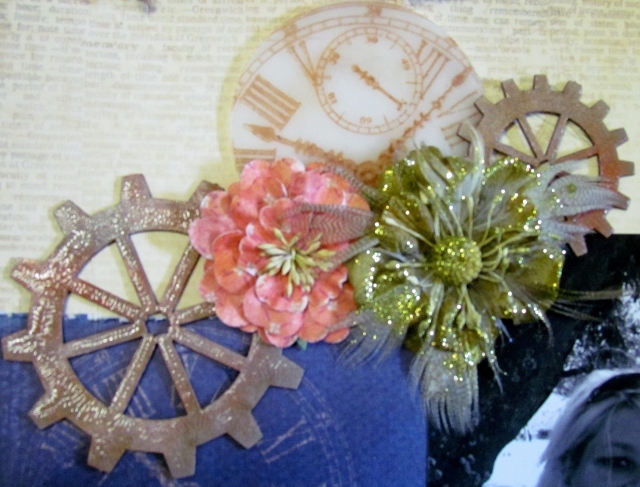 I have used the A2Z Scraplets chipboard cogs in this LO and I have used perfect pearls and glossy accents to create a rusty distressed kind of look (photos don't do it justice). I have also used a plastic disk which I have stamped a Kaszazz stamp onto with Archival Ink and then clear embossing powder. 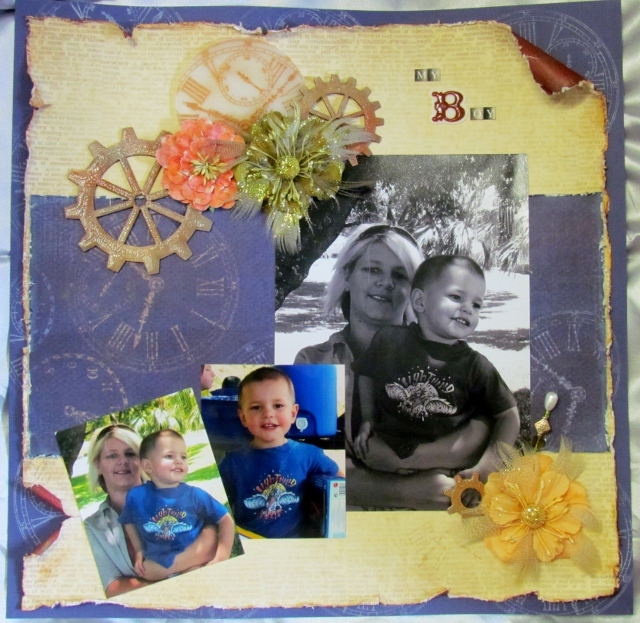 This stamp matches the Kaszazz paper that I have used in this LO. 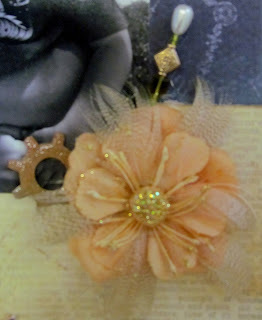 I have used Prima flowers on the LO as well and created a decorative pin. I am absolutely loving the way that it has turned out.